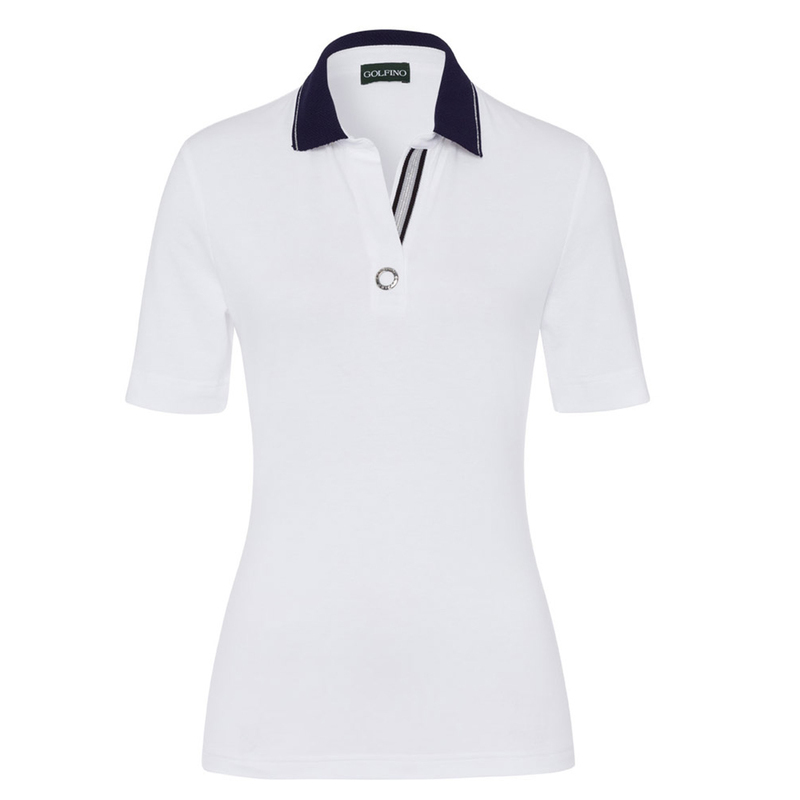 This premium shirt is highlighted with a fantasy collar, and is trimmed with a silver lurex stripe. 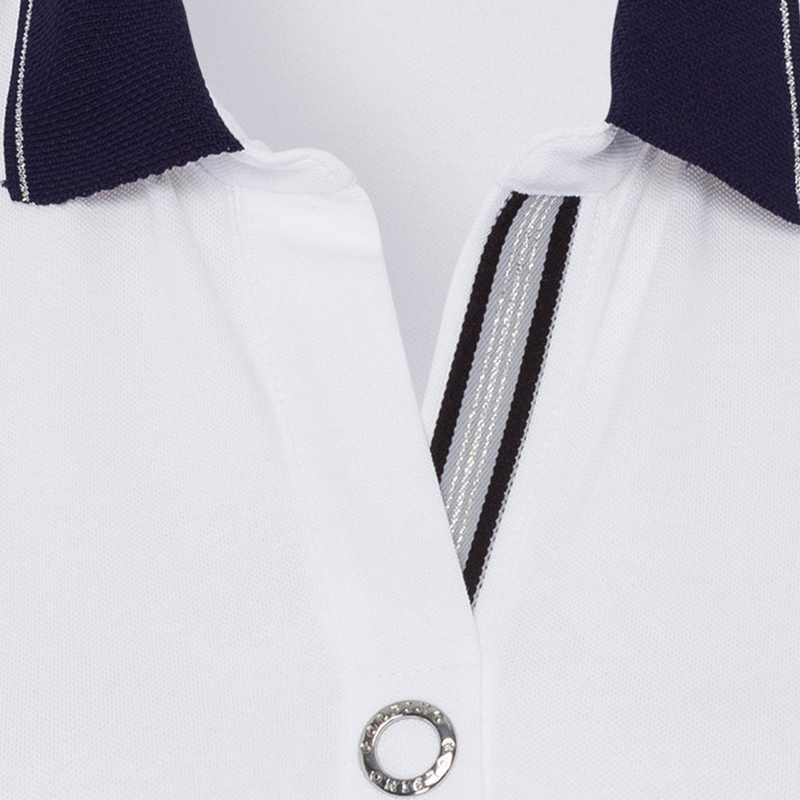 The colour combination gives a nautical look, with nice contrast tape inside the placket, and a personalised GOLFINO ring. 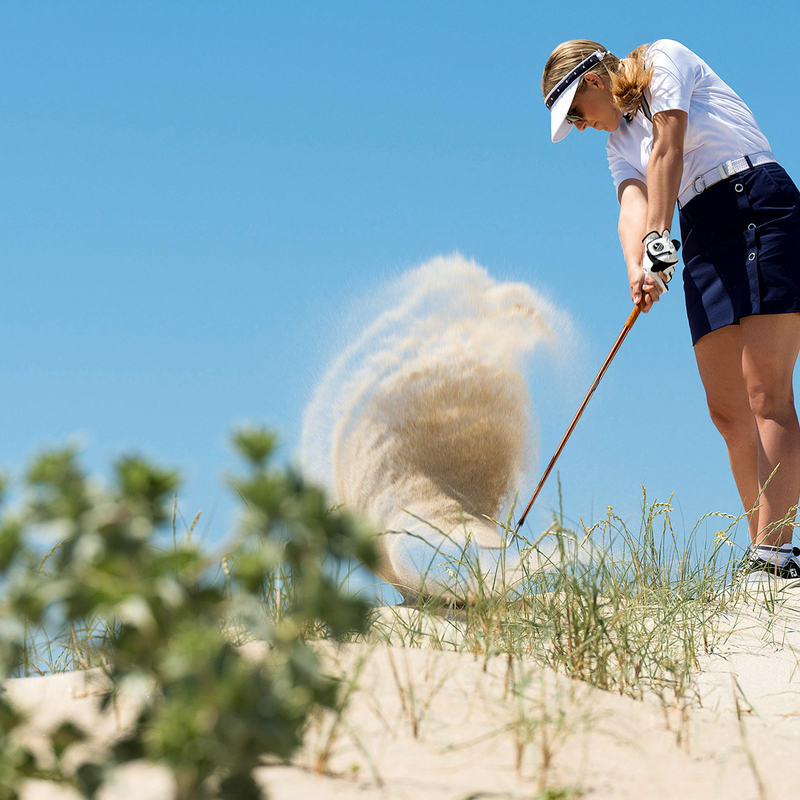 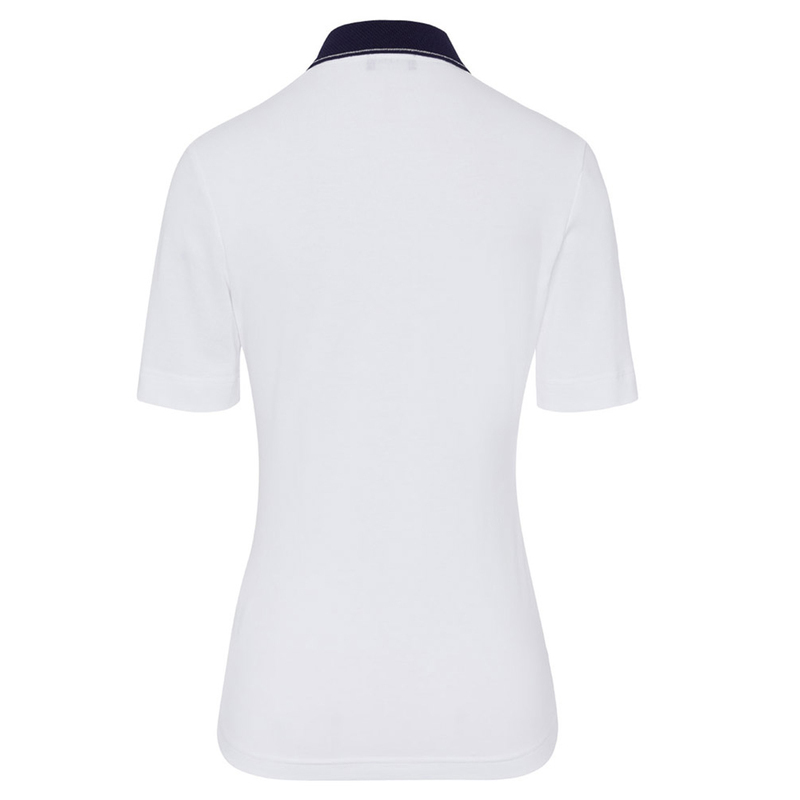 This garment has an element of stretch fabric to give the golfer increased movement, which is perfect for the athletic movements associated with golf.